The Court of Appeal has struck out the appeal of Nyesom Wike seeking a dismissal of the judgment of the Rivers election petition tribunal which sacked him as governor of the state. 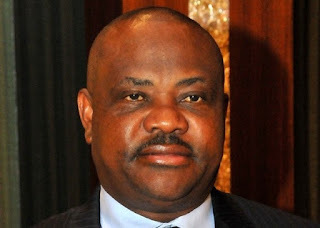 The tribunal headed by Justice Suleiman Ambrosa had, in a judgment on October 24 voided Wike’s election and ordered the Independent National Electoral Commission (INEC) to conduct a fresh election in the state. ‎The tribunal in its ruling stated that the characters of voters called by Wike were impugned under cross-examination and that it agreed that the evidence of the witnesses of Wike and INEC was incredible and unreliable. The petition challenging the election of Mr. Wike as Rivers State Governor was filed by Dakuku Peterside, the candidate of the All Progressives Congress, in the election. The Rivers governorship election, which was criticised by local and international observers, witnessed the largest amount of violence both in its build-up and after the elections.